We're now officially planning a summer vacation. 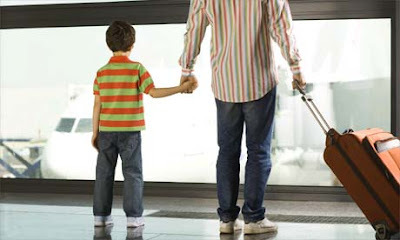 While I do consider our family to be seasoned travelers--two cross-country roadtrips, several 8-10 hour trips, and a couple flights with teeny ones--it is always good to review some info and tips for traveling with children. I really like the ideas from Simply Modern Mom. I want to hear your favorite travel tips--for car or airplane or any other vehicle. I could always use a new website for printing off travel games. I have so much to say on this topic (Gosh, Cis, thanks for asking!). We've taken our jet-set children to Europe and Australia (several times), and can without question recommend two things: a change of clothes and as few "fun" things as possible for the children. As in, possibly one thing each. And I'm talking old school, low tech -- like a new coloring book (I recommend Scribbles or Rosie Flo) and fresh crayons or pencils; possibly a word search book for older school-age children; a big, new chapter book for tweens, etc. Think of that 17-hour travel experience as the longest church service of your life, and realize that, just as the laws of physics apply in the chapel and everything you brought fell on the floor (and was fussed over)... ditto and et cetera on a flight. There are plenty of things for kids to do on an airplane: read, sleep, look out the window, watch a movie, talk, coerce the flight staff into dispensing excessive quantities of juice. In this instance, less is more; way more. The same holds true for road trips. I'm a believer that making alphabets from billboards and playing car bingo and complaining that a sibling has the temerity to touch you is what childhood is made of. Plug in whatever music the family likes and sing loudly. Bring snacks that aren't usually allowed, and keep everyone hydrated. Pack cheapo, throw-away toys, wrapped as gifts, and dole out as needed to restore peace and sanity. Stop often to stretch and eat ice cream cones. And hang an over-the-door organizer on the back of each seat to hold toys and activities. And, most importantly (in my opinion and experience), stifle the temptation to pacify children by feeding them a steady travel diet of DVDs. Kids deserve authentic life experience, not dulled and lulled by Disney/Pixar. Children do not exist to be entertained, no matter their location in space and time. And, finally, if they're over four years old: they're responsible for their own carry-on bag. Mama is a fun traveling companion, but she's an unpleasant sherpa.